Currently viewing the tag: "Steve Perry"
I don't know about you, but when I think about classic rock I think about vocalists. Guys like Steve Perry, Steven Tyler, Robert Plant, Geddy Lee. You know, big voices, amazing melodies, and sure while you might not like every single person there, you appreciate what they offered in the sense of their huge influence and their technical skill. Hell, even look at early metal vocalists, guys like Paul Di'Anno, Rob Halford and Bruce Dickinson were all very different stylistically, but had gripping melodies, great presence and pushed forward with their sounds. 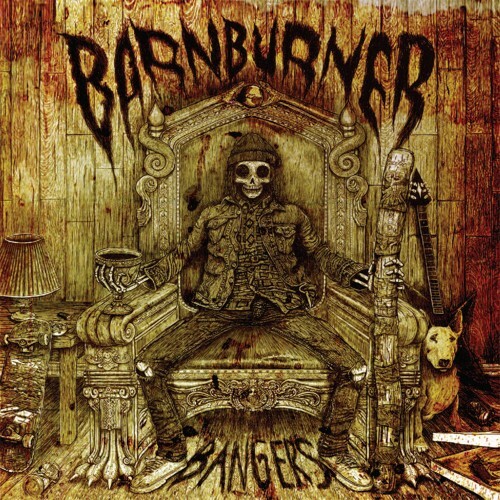 So what fascinates me is that any band with sort of a classic rock influence and approach would ever select a vocalist with a 4 note range.. but I have now encountered it on Barn Burner's Bangers.